I never know whether to dress up for Valentines or not. This will be my 5th with my fiancé and I have no idea what we're doing or if we're even going anywhere! 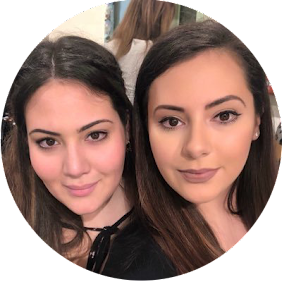 Apparently this year is my 'turn' to organise something, but I'm pretty sure I treated us to a spa day last year... but oh well. We're quite mindful of money as of late with our wedding approaching next year and I just think the hospitality industry ranks up their prices for this one day when it's really not necessary. Friday nights are super busy for restaurants, yet their prices don't change.. so why do they on Valentines? It's hard enough to FIND somewhere that has a table free, but when you do you're hit with a bill that's double the normal price. Like, what is this?! Much like New Years, we prefer to stay in and have a home cooked 'romantic' meal together, which in reality is both of us cooking, or one cooks and the other watches TV, and then dinner is either eaten on the sofa or at the table with headphones in watching our own TV programmes. A real loved up, modern-day couple... This year I think I'm going to dress up, seeing as I don't really go out anywhere any more. I'll just go all out.. dress, heels, hair, nails, eyelashes.. the whole shabang! I absolutely love these lashes from Eylure in No. 117 . They're so fluttery and full, and to be honest, I would wear these all day every day if I could. I LONG for long, thick lashes, but alas, I was cursed with short ones. But what better excuse to apply some than for Valentines! Worn with a sparkly smoky eye (which I've been practising like crazy! ), my eyes are going to look incrediblleeeeeee. Recovering from a time under acrylics, my nails are really short at the moment, and despite every attempt to grow them back, I keep either biting them or they break! I can never win! I really need to get back using my Nail Envy. 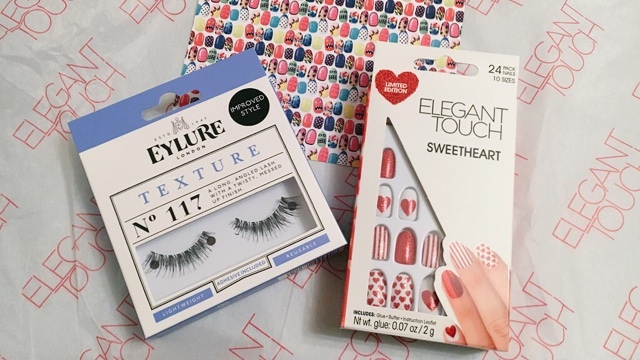 I love these Limited Edition Sweetheart nails from Elegant Touch (RRP £6.95), released especially for Valentines, which are so cute! I adore the hearts and they just look so sweet! 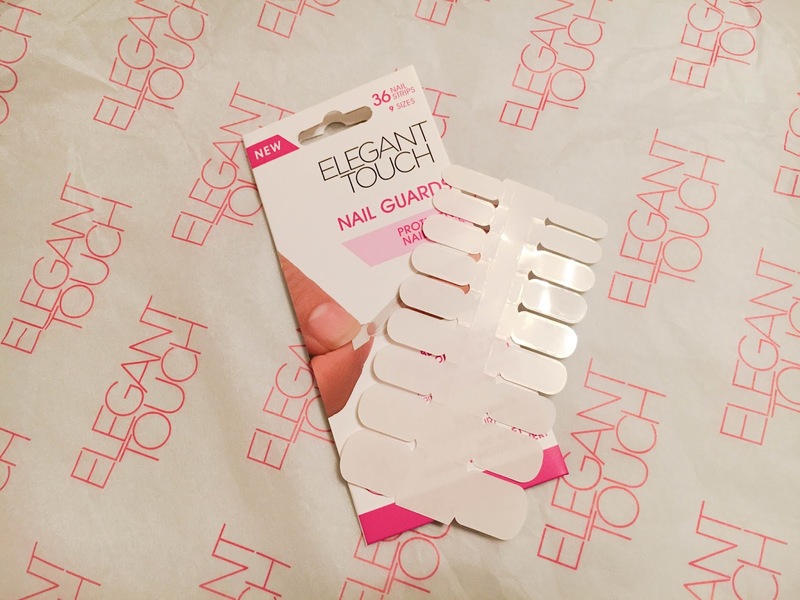 Used with nail friendly Nail Guards (RRP £2.95), there's certain to be no damage on my already recovering nails. Simply peel back the film, stick it on your nail, remove the other sticky side and press on the false nail! Easy peasy! Makes them easy to take off to and means I can re-use the false nails! If you're not into the whole cutesy love hearts and glitter, there's loads of other Valentines inspired shades to go for. 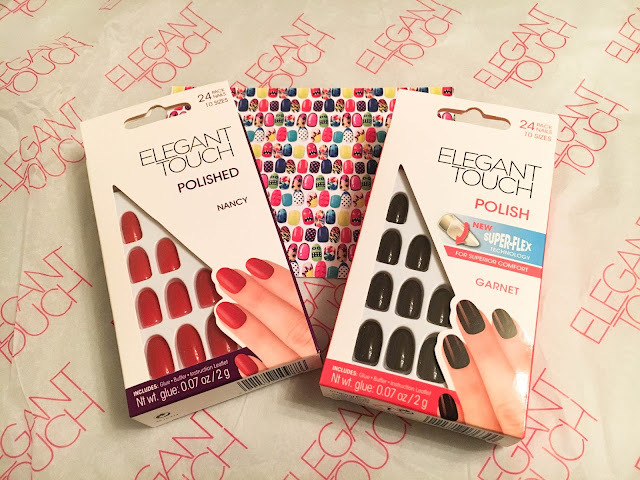 Sticking with the glam theme, two shades come to mind from Elegant Touch and they are Garnet and The Hamptons - Nancy. 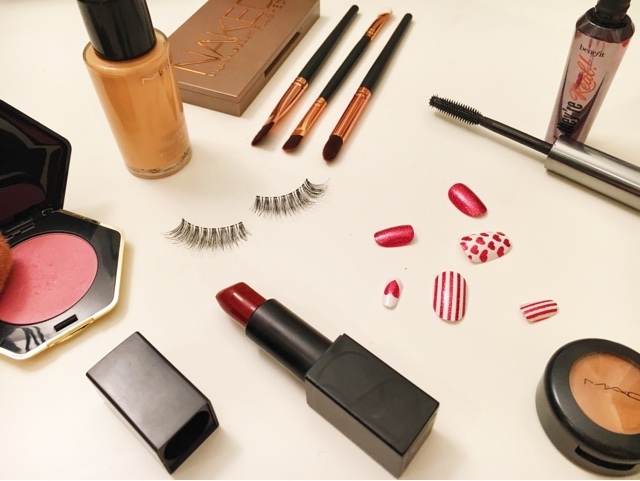 Both bold and would go well with any smokey eye and long luscious lashes! There's nothing I love more than the colour black, so I'll be wearing an LBD teamed with one of these combinations. Just got to wait and see what we actually do to celebrate! (most likely a dinner at home, but hey.. a girls' gotta look good either way!) I'll be sure to take pics on the night and upload them for you to see! Which shade and lashes would you go for?